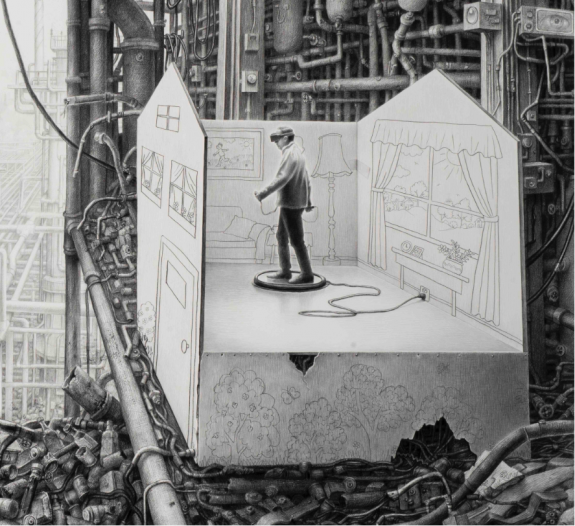 A Charlie Kaufman retrospective, a show of songs and films by two bicyclists named Ben, a look-back at a historic dam building disaster, Laurie Lipton’s techno-Rococo in pencil, and Happy Birthday Marion! at the Annenberg Beach House — that’s all this week in design events. 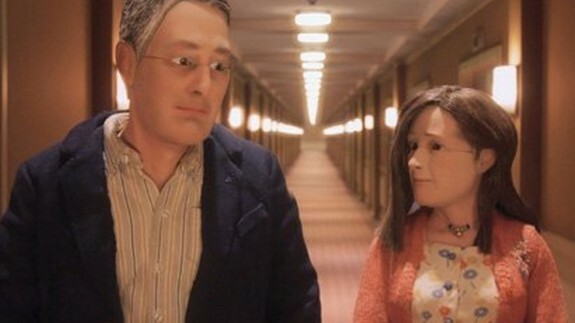 Mind-bending writer/filmmaker Charlie Kaufman’s new stop-motion animated film Anomalisa is currently playing at the Landmark in West LA. Tonight (Monday 1/4), the 7:30 PM screening will feature a Q&A with Kaufman, co-director Duke Johnson and producer Rosa Tran. Online ticket sales are closed but there are still a few seats available at the door. Get there early! Tonight’s event is part of a weeklong screening some of the Kaufman’s past films: Being John Malkovich (1999) Monday 1/4; Adaptation (2003) Tuesday 1/5; Eternal Sunshine of the Spotless Mind (2004) Wednesday 1/6; Synecdoche, New York (2008) Thursday 1/7. These screenings are all at 1 PM. Tickets: $10.50 ; buy online or call the theater at 310-470-0492 (extension 7 to reach a human being). Author and documentary filmmaker Jon Wilkman leads an illustrated discussion at a Burbank branch library of his new book, “Floodpath: The Deadliest Man-Made Disaster of 20th-Century America and the Making of Modern Los Angeles.” The 1928 collapse of the St. Francis Dam near L.A. resulted in the deaths of almost 500 people and ended the career of LADWP chief engineer William Mulholland. In the fall of 2014, two guys named Ben — storyteller and musician Ben Townsend, and director/producer/musician Ben Guzman — rode their bicycles from West Virginia to Los Angeles, playing music and filming local musicians and artists as they traveled. 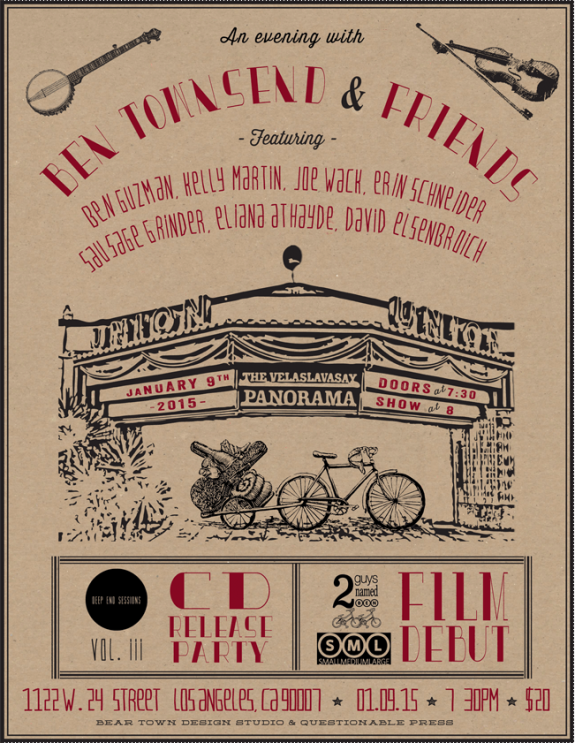 This Saturday at the Velaslavasay Panorama near USC, you can join the Bens for an evening of storytelling, live music featuring songs from each state they pedaled through, and documentary shorts filmed along the way. The Annenberg Community Beach House celebrates the birthday of the original resident of the property: Marion Davies, silent film star, bon vivant, and mistress of media tycoon William Randolph Hearst. The event features home movies from Hearst’s 74th birthday party at the Beach House (with a circus theme! ), a Q&A with Davies historian Lara Fowler, and music by the LA Love Band. Get that feather boa out of mothballs — period attire is encouraged. For all ages. Where: The Annenberg Community Beach House, 415 Pacific Coast Hwy; parking $3 per hour or $8 per day. Tickets: Free and open to the public but space is limited. RSVP at HappyBirthdayMarion2016.eventbrite.com or call 310-458-4904. “Sick” she calls her process and sick is how one could describe some of her marvelous drawings, currently on show in an exhibition called Techno Rococco at Ace Gallery on Wilshire at Reeve.